In addition to regular music coverage, Twin Cities Geek’s Paul Patane opens his notebook to share live-performance experiences, what’s in the news surrounding the Twin Cities music scene, and which upcoming shows are circled on his calendar. 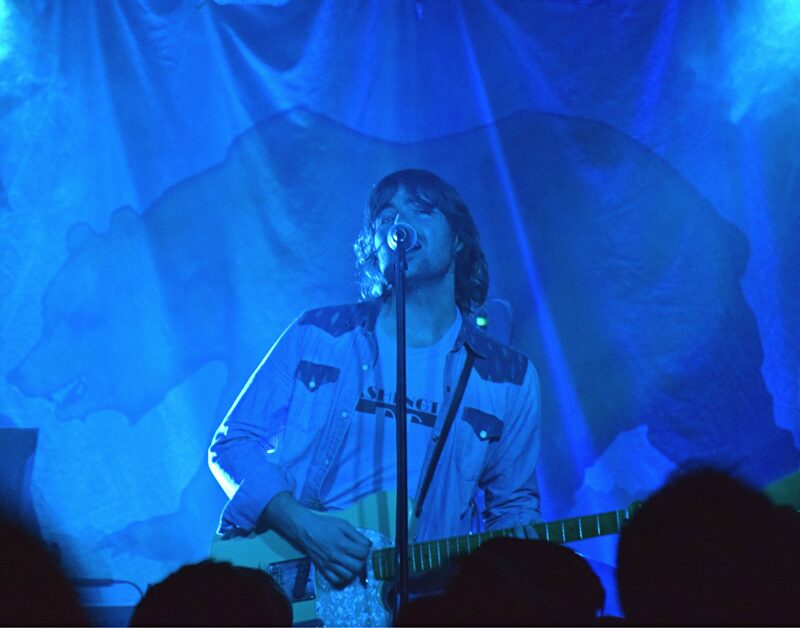 Whether he’s performing on stage or making a film, Robert Schwartzman has an infectious and skillful presence. When he’s with his alt-rock band Rooney, there’s no denying the pleasure he takes from singing and playing his guitar, a positive mark made at the Turf Club last Friday night as the group performed a headlining set that clocked in just shy of 90 minutes. After the crowd was entertained by Halfloves and amused by the swagger of Mating Ritual, Schwartzman’s band took the stage a little after 11:00 p.m. It was a late night, but no one seemed to mind—it was Friday, after all. Mixing and matching old hits like “I’m Shakin’” and “When Did Your Heart Go Missing?” with new standouts like “Do You Believe,” Rooney dazzled, showing off the group’s Los Angeles roots with showmanship and a light display worthy of an arena show as the band infused tracks that are borderline pop music with energetic riffs reminiscent of the 1990s alternative movement. Basically, they honored their past, but there was a twist. There have been highs and lows since Rooney performed “I’m Shakin’” on a 2004 episode of The OC, which was must-watch TV for a lot of people at the time. After a period of dormancy, the group kicked off a new era with Washed Away, released in 2016. It was the band’s first studio album since 2010, and though there are now new members in the group supporting Schwartzman, the sound remains true to the band’s past, when they reigned in the early 2000s with acts such as Weezer and the Strokes. With Rooney’s Cosmic Interlude Tour stop in St. Paul, there was also an aesthetic for theatrics, which fit Schwartzman’s Hollywood pedigree like a glove. A member of the Coppola family (he’s Talia Shire’s son), Schwartzman directed the 2016 indie film Dreamland and 2018’s The Unicorn, and he has acted in films such as The Virgin Suicides and The Princess Diaries. Whether Rooney, named after everyone’s favorite principal from Ferris Bueller’s Day Off, is on an upward trajectory again after a lengthy absence remains to be seen. But none of that mattered at the Turf Club as Friday’s tour stop was about the band and a few hundred guests enjoying a spirited performance executed with precision and positive energy. It’s just a shame the show didn’t sell out. Getting 90 minutes of Rooney for a $20 charge at the door was more than a bargain—it was a steal. 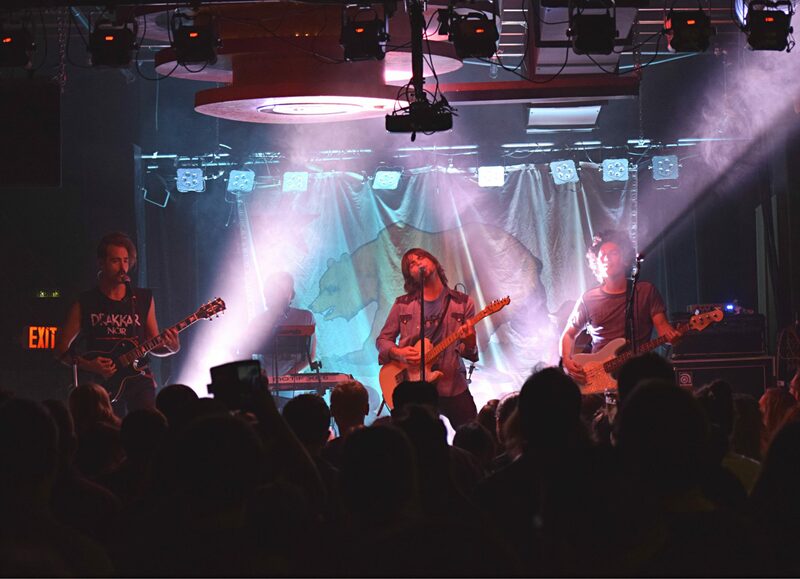 Last week, First Avenue announced it had purchased Fine Line Music Café, the live-music venue located just a few blocks away in the Warehouse District of Minneapolis. The switchover will occur on October 1, with First Avenue continuing its pushback against Live Nation moving into the Varsity Theater, located in Dinkytown, as the local company pushes towards its 50th anniversary, thriving and with a vision of staying independent. The acquisition will allow First Avenue to produce more shows with a new venue size to target for. The Fine Line can hold about 800 attendees, compared with First Avenue’s Mainroom, which holds 1,550, the adjoining 7th Street Entry at 250, and the Turf Club at 350 in the Midway neighborhood of St. Paul. First Avenue also comanages the Palace Theatre in downtown St. Paul, a historic venue that can hold over 2,700 concertgoers. By purchasing the Fine Line, a space with which First Avenue has intimate experience as a booking agent, the venue gets a chance to be reinvented and become more relevant with locals again, having become increasingly less popular in recent years. No major changes or renovations have been announced. Which upcoming shows are you interested in seeing?